The studio essentials line of premium light stands is designed for the working photographer. With solid metal locking collars and air-cushioning that won't fade, you’ll never have to worry about the security of your lights. 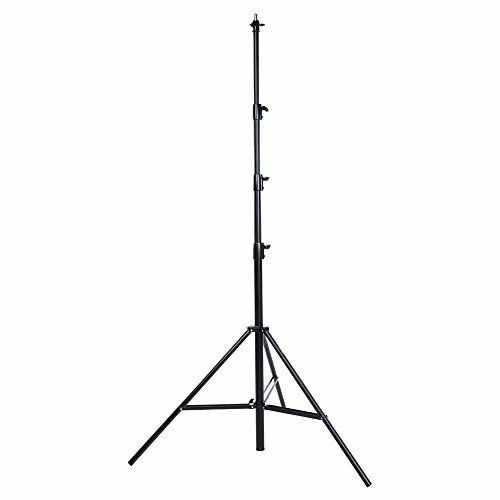 The studio essentials 13’ premium light stand is a high-quality extra-large light designed to handle any large light and modifier combination. Metal locking collars: traditional lightweight stands use plastic locking collars to save cost and weight. Studio essentials premium light stands use solid metal collars for added strength and security. Metal locking collars will also support more weight than plastic collars, making them ideal for larger lights and modifiers. Air-cushioning: air-cushioning is a safety feature that prevents your light from crashing down and ensures your light slowly descends should you forget to tighten the section locks. This helps prevent damage to your lights as well as your fingers.